This looks yummy, but I don’t have any whiskey! I have some brandy left over from your yummy bread pudding. Will have to look for a brandy hot toddy somewhere. 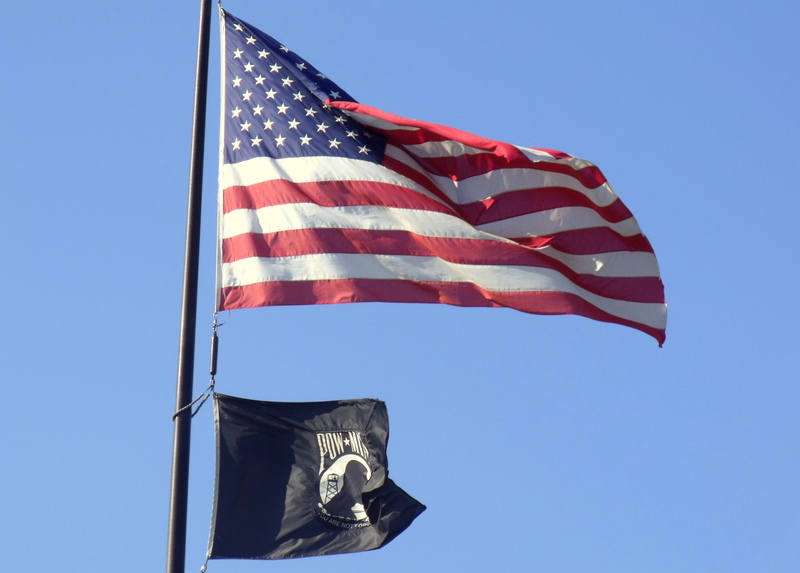 This one I’m earmarking for the next big cold…thanks for posting. Stephanie – Believe it or not a hot whiskey really does help when you have a cold. It may not cure it completely, but it does keep those icky symptoms in check. I have no idea if there is a scientific explanation for this, but like my granny, I love a hot whiskey when I’m under the weather. All the best, and thanks for your kind words about my bread pudding recipe. Mmmmm. It has to be Jamesons. 🙂 My fave way is to lemon the edge of my Irish Coffee glass, then dip it in cane sugar, a dollop of whiskey ( not sure how big one of those is in Canada but I’m assuming it’s about a shot and a half ) and fill with hot tea. 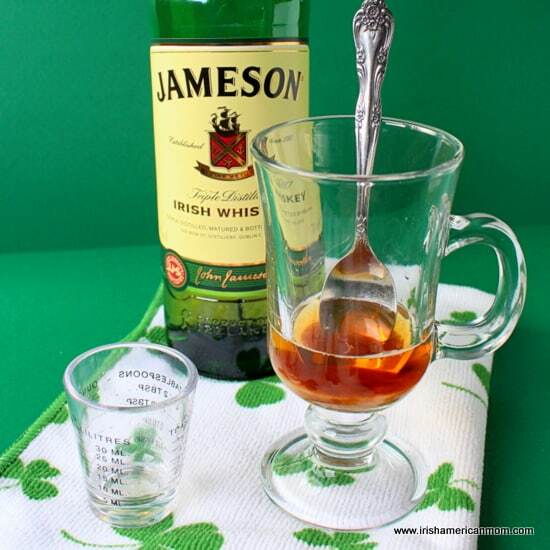 🙂 Yes, I drink my Jamesons with tea and if I have it, a squirt of real whipped cream on top…but I’m going to try it your way next time. 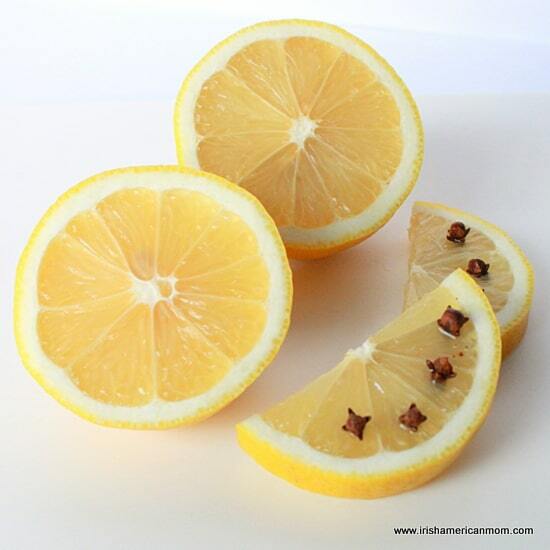 Love the idea of lemon slices with cloves. Sheryl – I love your tip for creating a sugar rim on your glass. It’s great to hear from someone who has tried this with tea. Good Irish whiskey is hard to beat. I just found your site and can’t wait to read more! 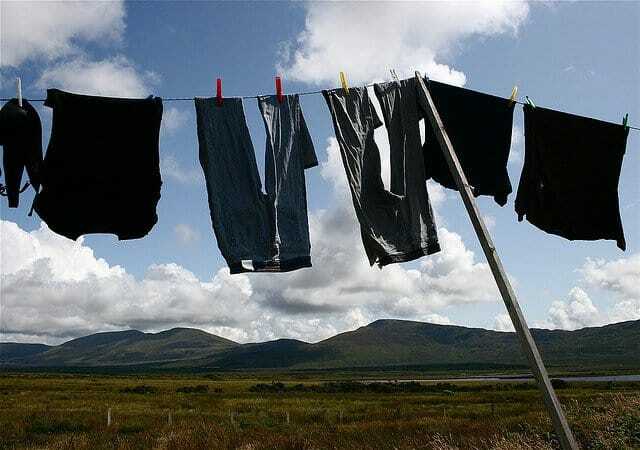 I am from Irish decent (north, County Tyrone) and my husband is Jewish. Reading about the German/Irish contrast in temperament sounds like us! I have 6 children and we farm and ranch in New Mexico, near Santa Fe. Colleen – Welcome to my little corner of the world wide web. I’m glad you found my website, and enjoyed my ramblings. 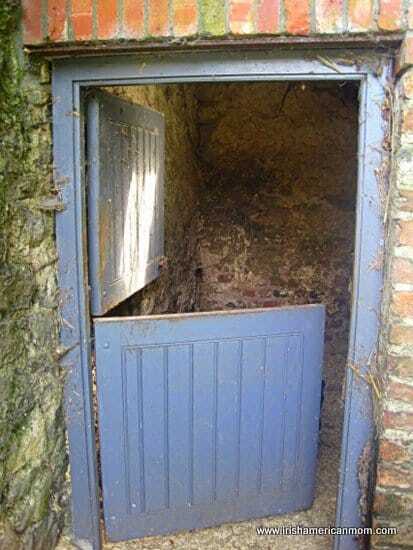 I hope to write some more posts on the Irish Psyche in the coming months, and I welcome any suggestions from readers. You sound like you are a very busy lady. I thought I had my hands full with four children, but you have six and are a farmer into the bargain. Your days must be full of joyful labor. OR you could just fill that glass half way with whiskey and forget about the lemons and honey! Just kidding! My Dad swears by whiskey/lemon and honey but he likes to stir it up with a peppermint stick, maybe that takes the place of the cloves? Hi Kay – I love your Dad’s tip for stirring up a hot whiskey with a peppermint stick. I hope you and yours are also staying well this winter, and not in need of a hot toddy for medicinal purposes, but just for sheer warming comfort. Brian – Even the slightest sniffle is a good enough excuse for a hot whiskey. I made the Irish Brown Bread with einkorn wheat (an ancient grain) and a tad of quinoa flour. It came out great, coarse and thick. Colleen – Thanks for the great tips and introducing me to these new grains and flours. I’m delighted to hear your bread’s texture was good. Thanks Maureen. It sure is hot whiskey weather at the moment. The correct name for this is a “Hot Toddy”. My mother and grandmother made these for colds, flu, and on a cold winter night. 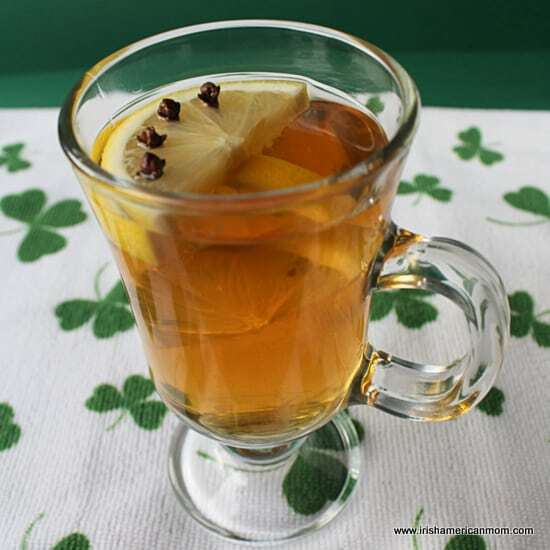 Hi Peggy – My mom called it a “hot toddy” too, and a lemony hot whiskey cured many a chill on a cold winter’s night. Peggy, in Ireland it’s mainly called a Hot Whiskey. The Scots refer to it as a Hot Toddy. Also as a former Bar Tender of many years, who has made thousands of Hot Whiskeys and Irish Coffees. 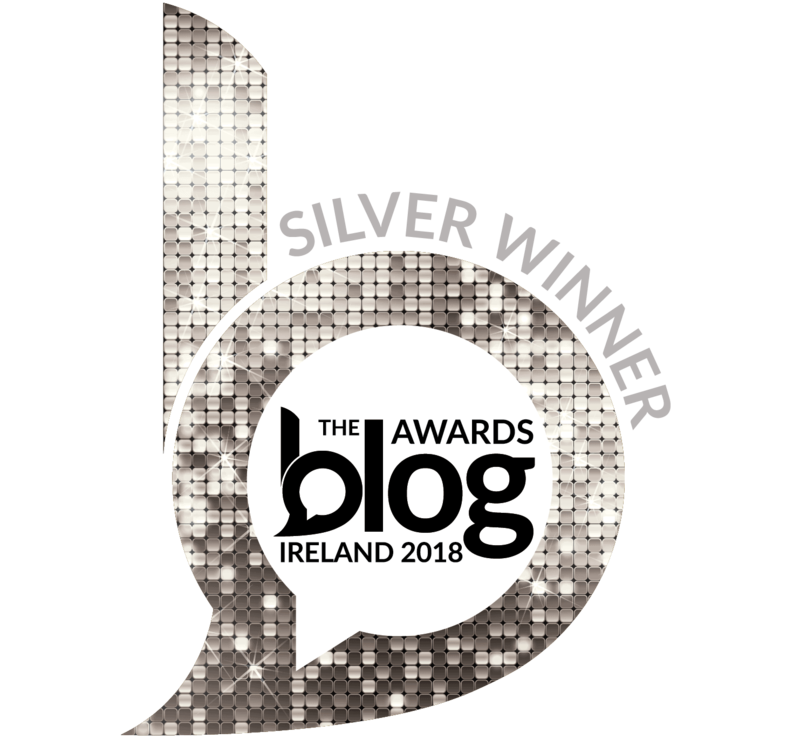 All down to personal taste of course, but you’re adding more water than would usually be added to a glass of Whiskey so a fuller flavored blend is better..
Hi Ronan – Thanks so much for your tips for making hot whiskey. Powers is a lovely whiskey. 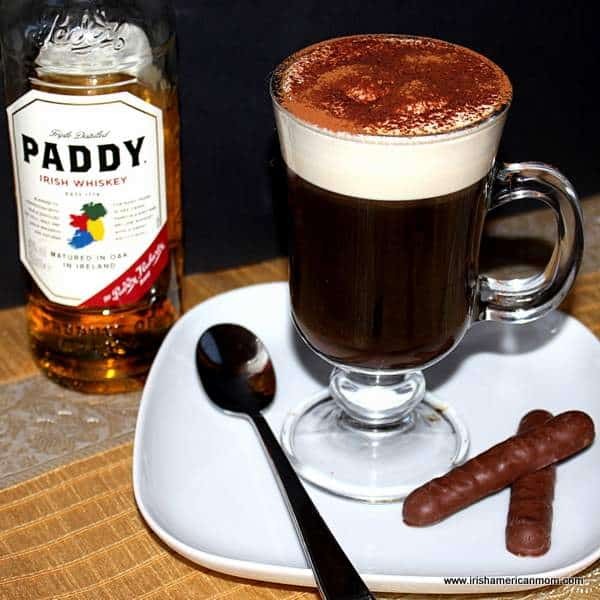 Another favorite of mine from Cork is the Paddy brand. Hi Don – Lots of Irish whiskey drinkers love to add a little drop of water to their drinks, just like the Scottish whisky connoiseurs. 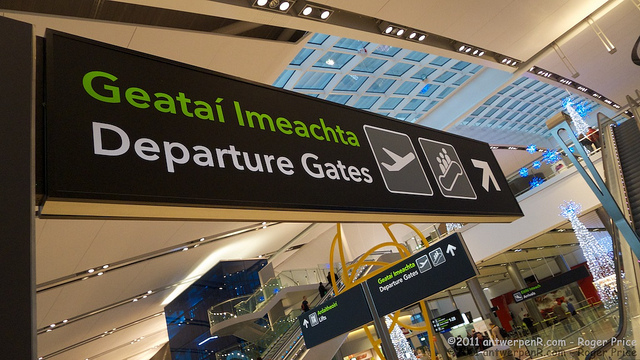 Pronouncing “sláinte” goes like this slawn-teh. Hope this helps, so that every time you lift a wee dram you can drink to your health with proper pronunciation. Hi Laurie – I’m so glad you found my site. 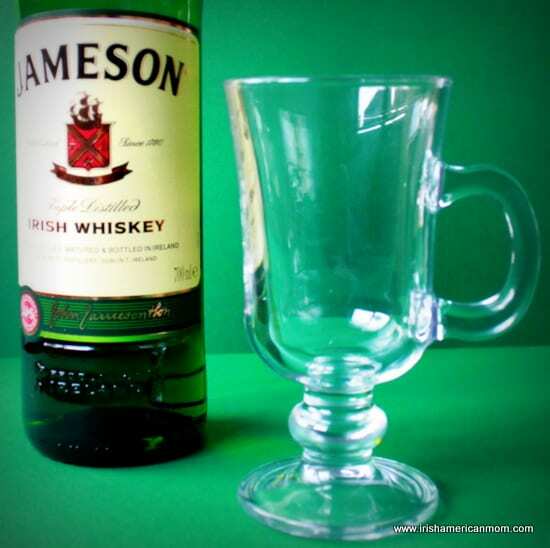 My Irish coffee glasses hold 8 fluid ounces. They don’t have a very big capacity, but I find they’re just right for a hot whiskey. Hope you enjoy your hot toddies. My granddad made a similar Hot Toddy as he called it. I have tweaked it a bit, I use camomile or echinacia tea. Otherwise they are the same drink. I do believe I will pour myself one now! Hi Teddi – I hope you enjoyed your hot toddy – a great end to a cold fall day. Brilliant Mairead! 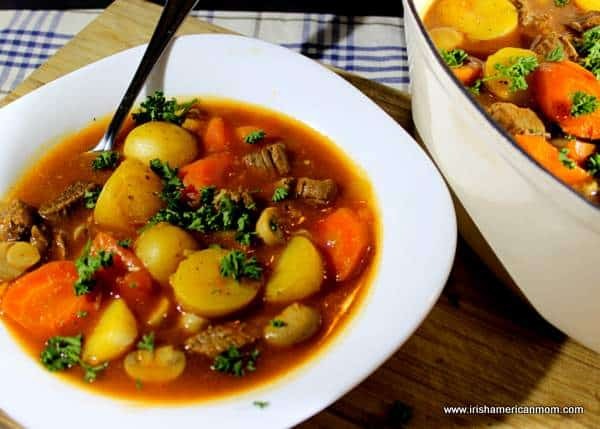 We pronounce it “Slawn-cha” over here in NI btw! 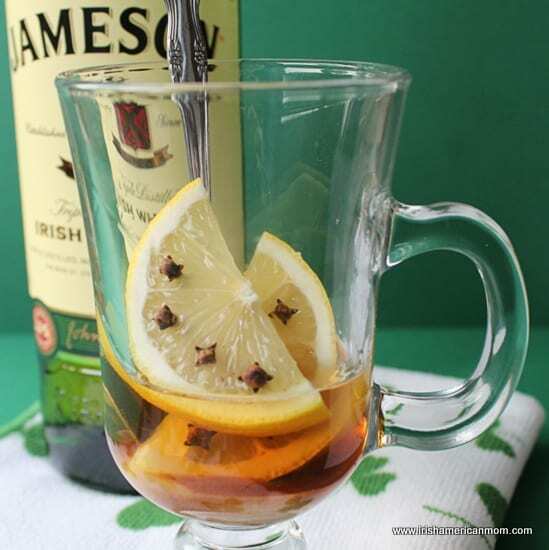 Hi Anthony – Thanks so much for checking out my hot whiskey recipe. Mines a hot glass, two measures of whiskey, and topped with 8 oz of fresh black tea. The bolder the tea the better. Its strong and makes ta fel strong too. 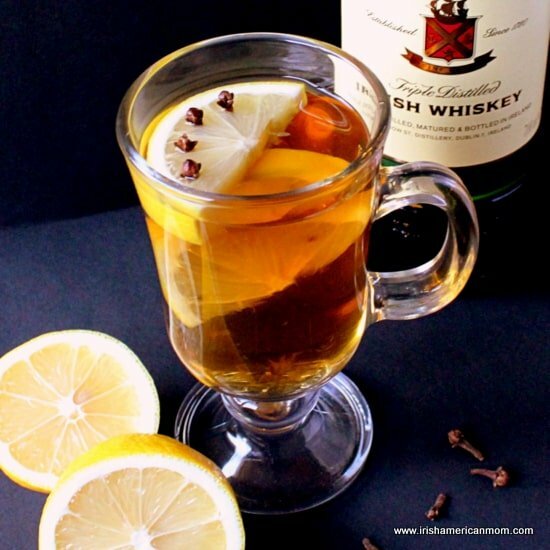 Hi Josh – What a great recipe for hot whiskey – tea is a perfect brew to add to your whiskey. Enjoy your hot whiskeys this winter season. Hi, thanks for the Hot Irish Whiskey ideas, I’m going to try this with a special tea that I found from Northern California that has eucalyptus and other respiratory enhancers. It is incredibly effective. If the added whiskey enhances my mood at the least, I’ll be a happier guy as I deal with my cold. Looking forward to more ramblings about the land of my family’s history. Hi Eric – I hope you enjoyed your hot whiskey with that delicious tea from Northern California. It sounds like a perfect pick-me-up for cold days. 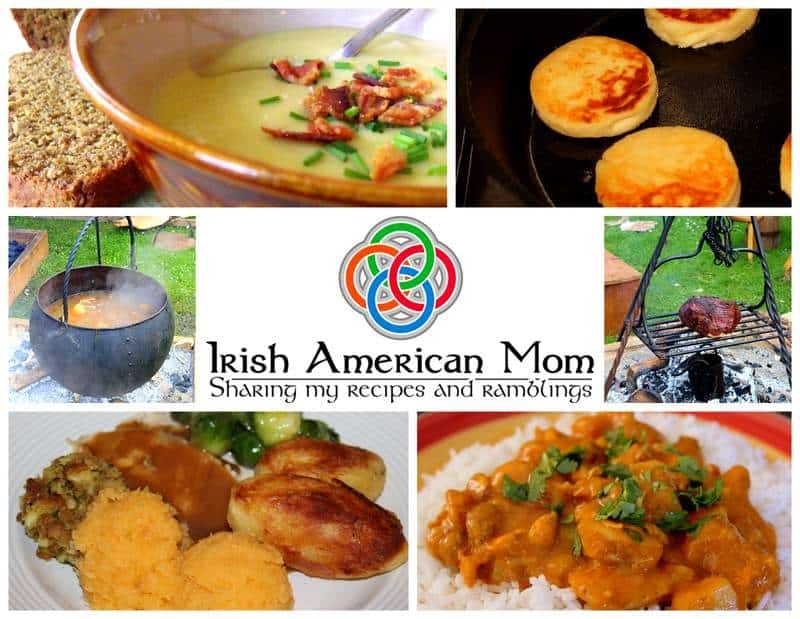 Hope your feeling better, and thanks for following my recipes and ramblings. Um no.punch drunk refers to when boxers are punched enough that they seem inebriated. Pretty obvious.you may want to correct that error. Dementia pugilistica – punch drunk look it up please.you’re passing around false information. Please amend your article to reflect the truth and not made up lies. Punch drunk, also known by its medical latin name Dementia pugilistica (DP) is a type of chronic traumatic encephalopathy (CTE), a neurodegenerative disease with features of dementia. DP may affect amateur or professional boxers, wrestlers as well as athletes in other sports who suffer concussions. It is also called chronic boxer’s encephalopathy, traumatic boxer’s encephalopathy, boxer’s dementia, pugilistic dementia, chronic traumatic brain injury associated with boxing (CTBI-B), and punch-drunk syndrome. So yea fix your lies idiot. We knew we could not die from the common cold. Still, we thought we might. Thank you for the Hot Whiskey recipe. 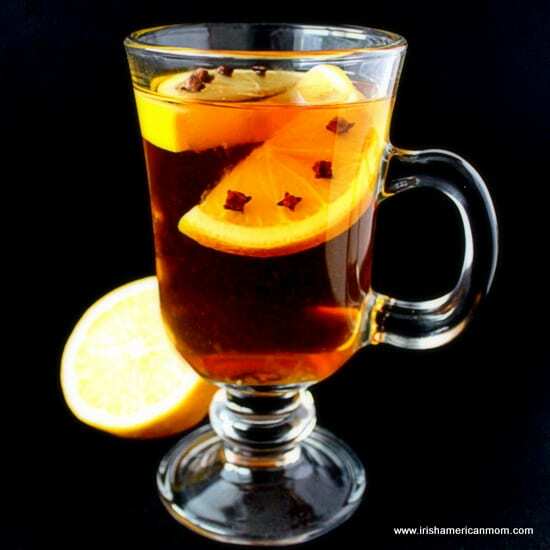 Hi Kathy – There’s nothing like a hot whiskey to get the better of a cold. I think our fear of the common cold was instilled in us from ancient times. In Portland, Oregon it started snowing on Christmas Eve. By Christmas morning everything was covered in new snow. I’d made it home from mass the night before. It was cold and the streets were treacherous. I was stuck indoors on Christmas Day and had my own small party. I had half a bottle of Glühwein left from the previous Wednesday and I had a quarter bottle of Tullamore Dew on hand. So I said, “Let’s have a German-Irish wedding,” and poured a shot of the whiskey into a mug and warmed up the Glühwein and added seven cloves. Once the wine was steaming I poured it into the mug with the whiskey. The result was a delicious mid-winter treat! 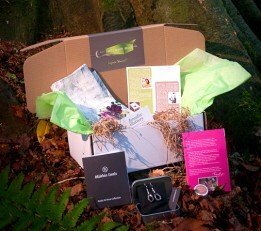 Hi Gerhardt – It sounds like your celebrated the holidays in style while creating a new and delicious German-Irish cocktail. I think you may be correct – that makes sense as a meaning for the term. Hi Nate – Bushmills is a wonderful whiskey choice.